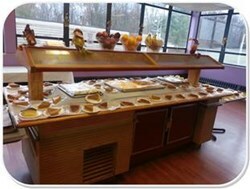 Narconon Freedom Center Michigan helps addicts recover and reunites families with a Thanksgiving Feast. This is the most vital time of year to get your loved one into rehab. It could save their life. 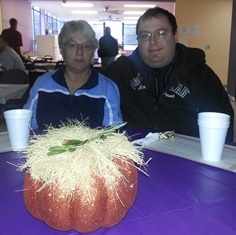 Narconon Freedom Center again helps addicts reunite with their families over a huge Thanksgiving Feast. The alcohol and drug rehabilitation facility understands how important reuniting family is to the recovery process of those struggling with addiction. This year’s Thanksgiving Feast menu consisted of turkey with all the fixings and a large buffet of desserts that included Pumpkin Pie. Families were encouraged to bring any special dishes that their loved one might enjoy which are part of their individual traditions. “This may be the first holiday in years that families have been able to spend with their loved one sober and in a safe environment. It’s very gratifying to see these families reunited and having hope for the first time that they will be able to spend many more holidays with their loved one sober and happy,” said Brian Kuehne, Executive Director of Narconon Freedom Center Michigan. Families expressed thanks that their loved ones who had been struggling with addiction are now on the road to recovery. “I am so thankful my son is here and has decided to make this change,” said one mother of student J.L. “I am so happy that my son is alive and I am so thankful to have a place to be with him this year,” said the mother of student R.P. Holidays are an extremely stressful time for addicts and can often trigger increased drug use and overdose leading to death. Families of addicts often spend the holidays in fear for their loved one’s life wondering where they are and what they are doing. “This is the most vital time of year to get your loved one into rehab. It could save their life,” said Kuehne. For more information on holiday stress and addiction or to enroll a loved one in drug rehab, call an Intake Counselor today toll-free at 877-362-9682. All calls are no charge and confidential. 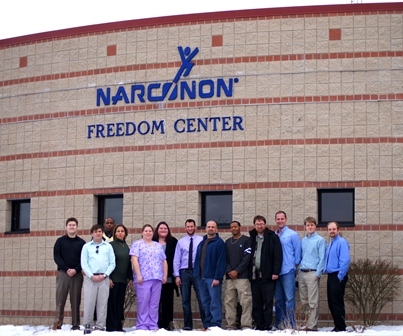 Narconon Freedom Center, Albion, Michigan, is a non-profit alcohol and drug rehabilitation facility licensed through the state. The program has been helping those struggling with substance abuse and alcoholism for over 47 years. William Benitez founded the Narconon program in 1966 with the drug-free rehabilitation education researched and developed by American author and humanitarian L. Ron Hubbard. The Narconon program is a holistic drug-free rehab program. The drug and alcohol rehabilitation facility also provides drug prevention education to schools and community outreach programs. For drug education in your school or community, contact the center at 517-629-8661.